As the UFC returns to Brazil this weekend for UFC Fight Night 144, it may still seem odd to Brazilian faithful to see Aldo without gold around his waist. After all, he was the premier 145-pound fighter in the world for a real long time, running over Mike Brown in 2009 at WEC 44 and reigning over any challenge the UFC could throw his way until meeting Conor McGregor in 2015. The night Aldo finally lost his crown, Demian Maia outclassed McGregor’s teammate Gunnar Nelson. The Brazilian Jiu Jitsu maestro fights this weekend against Lyman Good. When he beat Nelson, Maia was amid a seven-fight win streak that would earn him a crack at the welterweight title against Tyron Woodley. That fight came seven years after failing to capture the middleweight strap from Anderson Silva. With only a limited number of divisions, not every great fighter will win a UFC championship. Maia, fighting for nearly two decades and across two weight classes, is among history’s most notable names to come up just short. So who is the best? Staff writer Hans Themistode teamed up with RBR MMA’s Managing Editor Robert Aaron Contreras to rank the 10 greatest fighters to never win a UFC title. Interim belts may be the most hated concept around, but to spread the love, winning an interim title eliminated any fighter from this ranking (sorry, Carlos Condit). And only fighters who spent the crux, or at least a memorable crescendo, in the UFC were considered (sorry, Fedor). 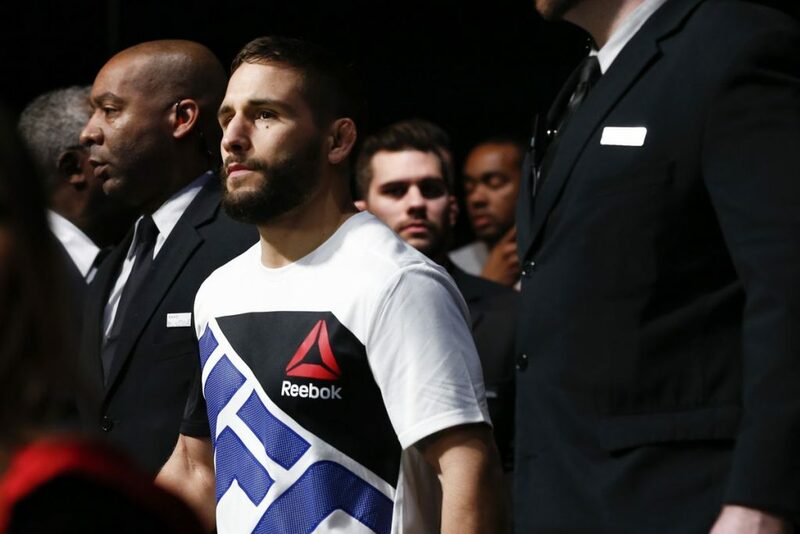 Chad Mendes (18-5) is still relatively young at age 33 but after his recent defeat to Alexander Volkanovski by knockout in the second round, Mendes decided to call it a career and hang the gloves up. His retirement from the sport looks and feels premature. Be that as it may because of his retirement he has earned a spot on this list. Mendes gave arguably the two best Featherweights of all time a seriously tough fight in the octagon. Mendes took on Jose Aldo and was dispatched of in the very first round. The rematch between the two however went entirely differently and goes down as one of the very best fights the division has ever seen. Although Mendes came up short in his chase for the gold that night one thing was for sure, he would be back again. One year later he got a chance to win an interim belt against Conor McGregor. Again Mendes performed very well in the bout and seemed to be on the edge of bringing home the victory. He unfortunately ran out of gas in the second round and was subsequently knocked out. He tried to bounce back in his next fight but was again knocked out in the first round, this time by Frankie Edgar. Even with those set backs Mendes still had a chance to eventually compete for a title if he continued to fight. That was the problem. He couldn’t continue to fight. Mendes was busted by USADA for taking a banned substance and received a two year suspension. It seems as though that suspension took a lot out of Mendes as he announced his retirement soon after a difficult loss. Those two years away from the sport seemed to have robbed him of his hunger to keep fighting. Maybe Mendes will decide to eventually come back and give himself one more run at a title but for now he remains on this list as one of the best to never win UFC gold. Romero (13-3) probably shouldn’t be on this list. His losses to current Middleweight champion Robert Whittaker were extremely close and could have gone his way. Unfortunately for him he just wasn’t able to get over the hump in both contests. The problem for Romero is that he seems to beat only former champions. In 2016 he knocked out Chris Weidman one match after Weidman had lost his title to Luke Rockhold. Speaking of Rockhold, Romero defeated him as well by knockout but only after he had already lost his title as well. Although he is getting up there in age he doesn’t seem to be slowing down. He hasn’t been knocked out in a match since 2011 so his chin still appears to be there. His knockout power is still there as well. He had current champion Robert Whittaker in serious trouble in both of their matchups. With that being said he is 41 years old. The fight game isn’t exactly a young mans sport no matter how impressive he continues to look. Romero still has something left in the tank to make a run. How much exactly is in that tank? This year we will be sure to find out. This year marks year 20 as a professional fighter for Overeem (44-17-1). He might have the best resume in the entire history of the sport as he has fought everyone that you can think of. Chuck Liddell, Mauricio Rua, Fabricio Werdum, Vitor Belfort and Brock Lesnar along with countless others are plastered all across his fight history. Overeem has accomplished a lot in his career. At one point he held both the Dream and Strikeforce Heavyweight championships simultaneously. The UFC gold however has eluded him his entire career. He had one shot at claiming that title against former champion Stipe Miocic but loss by first round knockout back in 2016. Now at age 38 his best days are clearly behind him. It seems unlikely that he will ever be able to capture the most prestigious title in all of MMA. It also doesn’t seem as though he will be retiring from the sport anytime soon but with the talent that currently resides at the top of the Heavyweight division Overeem will have a very difficult time placing himself in title contention. One of MMA’s most beloved figures for over a decade, Cerrone (35-11-1) doesn’t seem to be slowing down. A recent TKO of Alexander Hernandez at UFC Brooklyn this month marked a return to the lightweight division and another trek toward’s the UFC gold that has alluded him in a 30-fight Octagon career. Cerrone competed for the 155-pound strap in 2015. It was a long time coming, riding an eight-fight win streak—even defeating rival Ben Henderson. But still Rafael dos Anjos would take Cerrone out inside the first round. The Cowboy then tried his hand at the welterweight division after not just a storied career at lightweight but perhaps an underwhelming one. It was in the WEC days that he also failed to capture the WEC belt multiple times, losing out to Henderson and Jamie Varner. Without the cut to 155 pounds, Cerrone reeled off four consecutive victories—all stoppages—before platueing to a 1-4 stretch. A inspiring submission of Mike Perry at UFC Denver last November demonstrated how lethal Cerrone remains. And a TKO of a spry opponent should make any rising lightweight wary of the the 35-year-old veteran. 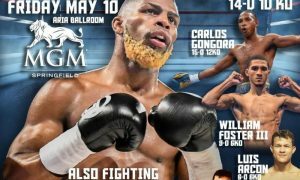 Diaz’s (26-9-0-2) unorthodox boxing, dangerous ground game and unlimited stamina has made the Stockton soldier a nightmare since his UFC debut way back in 2003. By that year, a 20-year-old Diaz had already lifted the WEC welterweight championship. 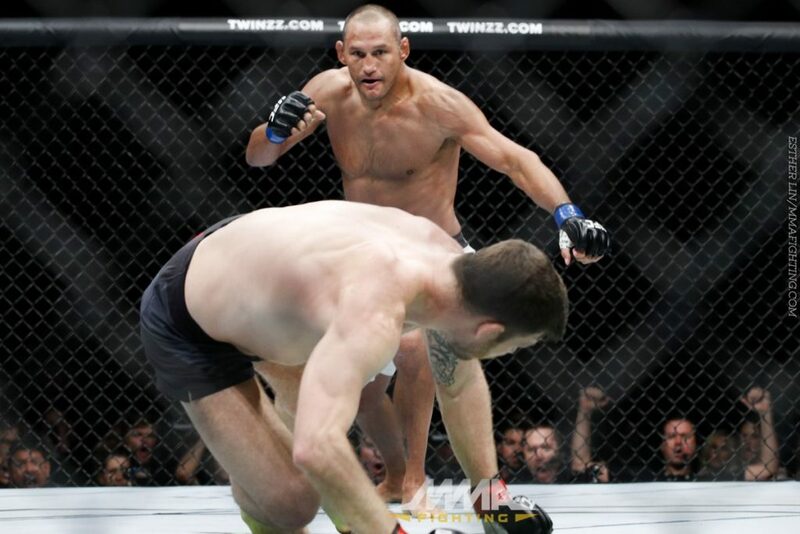 In his second UFC fight, he became the only man to knock out Robbie Lawler until Tyron Woodley finally put another dent in Lawler’s chin 13 years later. He would compete inside the Octagon until the year 2006. Then he split his career mostly in EliteXC and Strikeforce, while making stops in Japan to fight under the PRIDE and DREAM banners. 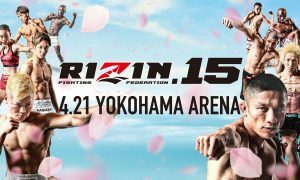 At PRIDE 33, Diaz even submitted Takanori Gomi, who was at the time considered among the top lightweights in the world. But true to form, the result was overturned because of a drug test (marijuana). Diaz officially put together an 11-1-1 record before returning to the UFC in 2011 where he boxed the ears off B.J. Penn. Next, Diaz battled Carlos Condit for the interim welterweight title. He lost a disputed five-round decision. But Diaz talked himself directly back into the title picture and secured a championship fight with Georges St. Pierre. Diaz was outwrestled by the Canadian superstar and only fought once more in his career. His final fight came against Anderson Silva which Diaz subsequently tested positive for marijuana for the third time in his career. Like so many others, Fitch (31-7-1-1) has recently found a resurgence in Bellator. Last, May, Fitch pulled off a decision victory over dynamite hitter Paul Daley. 14-3-1 in an 8-year career in the UFC, Fitch often played second fiddle to Georges St. Pierre in a loaded 170-pound class. It took him eight consecutive victories to earn a crack at St. Pierre himself. In 2008, Fitch was overwhelmed by the defending champion en route to a five-round decision loss. But the fiighting spirit that made him so successful grinding premiere athletes into powder was on display. He was thumped around in the opening round but stole the second period. As the Canadian superstar was wont to do, St. Pierre readjusted and swept the remaining three rounds. Fitch’s days outside of the UFC have been rewarding. He moved over to the PFL, then under their original World Series of Fighting banner and won that title, defeating former standout wrestlers Jake Shields and Yushin Okami. Now in a curious scenario, Fitch is scheduled to challenge who was once thought to be St. Pierre’s great successor Rory MacDonald in April for the Bellator welterweight championship. 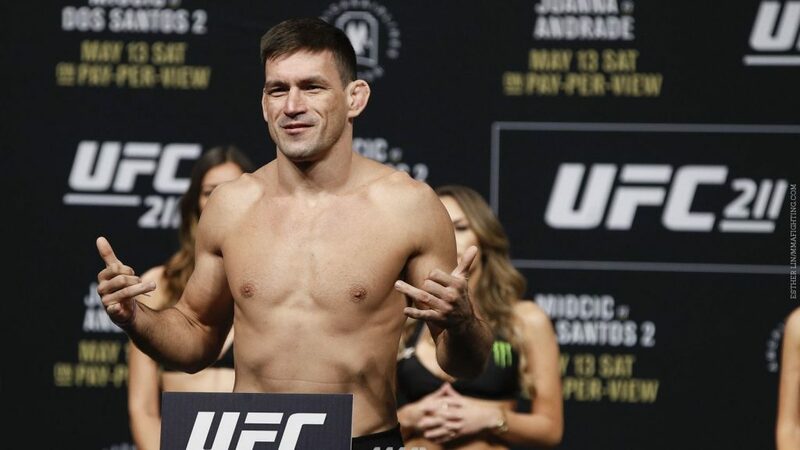 Demian Maia (25-9) is on his way out as his retirement from the sport seems imminent. He is 41 years of age and has put together a great career. From May 2014 to May 2017 he went undefeated. During that run he knocked off a who’s who of fighters including Carlos Condit, Jorge Masvidal and Gunnar Nelson. Those wins helped propel him to a title shot against Tyron Woodley where he was throughly dominated over five full rounds. Maia is a submission specialist, once he gets you down to the mat you are officially in his territory. The problem with that game plan is that Woodley was able to nullify much of his take down attempts. What could Maia have done if Woodley had not stood in his way? We could have possibly witnessed a masterful run cultivating with a UFC crown. Unfortunately for Maia he was never able to get over the hump and it seems as though he never will. Until a split-decision loss to Sergio Pettis in 2018, only two men had ever defeated Benavidez (27-5). Unfortunately among those instances were championship fights. WEC 50 in 2010 featured a rematch between Benavidez and Dominick Cruz. The bantamweight title was on the line and Benavidez was forced to settle for a split-decision. 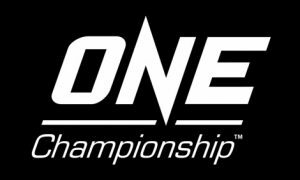 Soon after, the UFC absorbed the WEC and the company introduced a new division—flyweight, 125 pounds—with Benavidez in mind. In a four-man tournament to crown the inaugural flyweight champion, Benavides and Ian McCall were out on the opposite end of the bracket. Demetrious Johnson, of course, ended up stealing the show and the entire division. The longtime champion upset McCall and handed Benavidez yet another split-decision verdict. Benavidez remained a real player at 125 pounds. He earned another stab at glory following three dominant wins. He rematched Johnson in 2013 but was put to sleep inside of the first five minutes. He remained a symbol of consistency, winning six straight fights, a streak that was finally put to an end by that loss to Pettis. Recently, Benavides is back to his winning ways. The future of the division is up in the air but he has won back-to-back bouts in a span of just six weeks. With Johnson now competing across the globe, Henry Cejudo needs challengers. Another title shot could be in the near future for Benavidez. 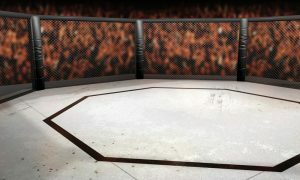 UFC’s first official hall of famer Urijah Faber (34-10) fought just about everyone and defeated just about everyone as well. There was very little that he had not accomplished. UFC gold is the one glaring omission from his ridiculous track record. For as good as Faber was he will forever have the stigma of not being able to get it done at the highest level. He is the first and currently the only UFC fighter to ever go 0-4 in title fights. Faber lost a lopsided decision to Dominick Cruz in 2011. He later lost another non competitive bout against Renan Barao in 2012 by decision. Faber once again lost to Barao in 2014 but this time via first round stoppage. His last crack at gold came once again against Cruz where he lost a wide unanimous decision. Faber is an all-time great in the UFC but he will be remembered for how he continued to come up short in the biggest of moments. Henderson (32-15) is one of the most decorated mixed martial artists in history, scoring numerous memorable victories and winning a handful of major titles. But he never did lift UFC gold—and it wasn’t without trying. After simultaneously holding the PRIDE organization’s “welterweight” (183 pounds) and “middleweight” (205 pounds) belts, Henderson attempted unifying the crowns in the UFC—representing his first action under the UFC banner since UFC 17 in 1998. By 2008, he would come up short against both Anderson Silva and Quinton “Rampage” Jackson. But it was that “H-Bomb” tucked away inside his right hand that revived his career from the grave. Three straight knockout victories preceded his third stint in the UFC, including winning the Strikeforce light heavyweight championship and a resounding Round 1 KO of Fedor Emelianenko at heavyweight. In 2011, Henderson showed off that power opposite Mauricio “Shogun” Rua. 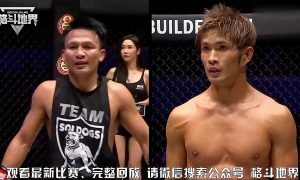 He defeated the former champion in one of MMA’s most violent outings. A 1-5 stretch over the next four years might have slowed down any other fighter past the age of 40. Henderson, however, earned Performance of the Night in the summer of 2016 by blasting Hector Lombard with elbows. The finish set up Henderson with a return match against Bisping for 185-pound gold. At 46-years-old, Henderson narrowly lost to the defending titlist and officially announced his retirement. The decision closed the book on of MMA’s most fascinating tales and surely the career of the greatest fighter to never win a UFC championship—despite winning so much more in the hearts of his fans.